On Monday afternoon, the Outing Club went to Callahan State Park for a Mountain Bike Ride / Mini Clinic. The rain held off for our ride, but made some nice puddles for us to splash through! We focused on some basics like body positions for riding up hills and also down hills, trail scanning, and most of all, having fun! 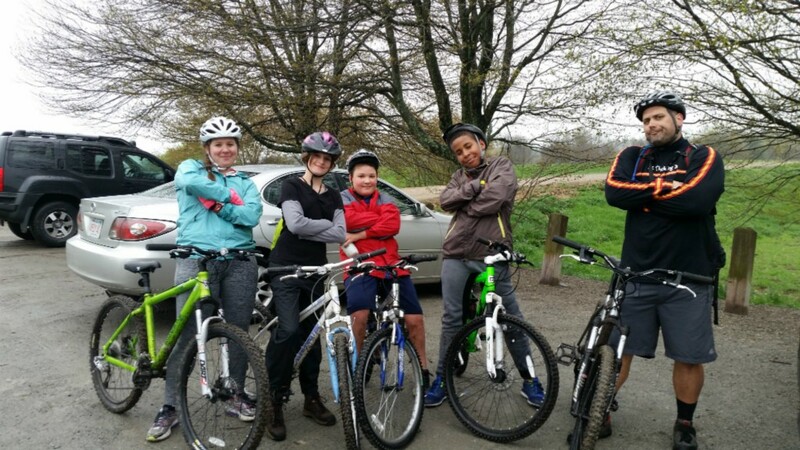 Some of the students were a bit nervous in the beginning, but after some practice and experience on the trails, all of them were saying how they wanted to be out there riding again.